The Ames Building is a skyscraper located in Boston, Massachusetts. 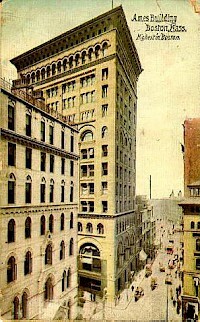 It is sometimes ranked as the tallest building in Boston from its completion in 1893 until 1915, when the Custom House Tower was built. However, the building was never the tallest structure in Boston. The steeple of the Church of the Covenant, completed in 1867, was much taller than the Ames Building.